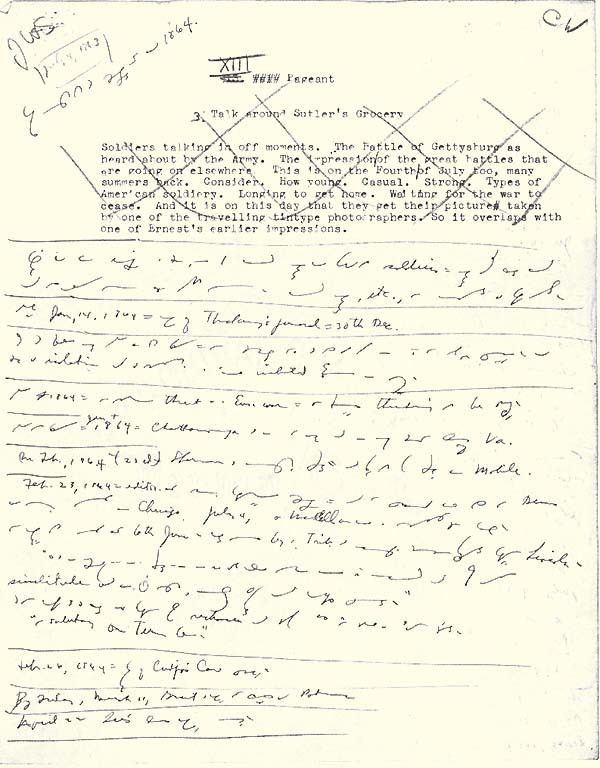 Shorthand Example by Ross Lockridge, Jr.
[Ross Lockridge, Jr.] wrote a synopsis of all episodes [of Raintree County] and set about writing the flashbacks first, researching the historical matrix for each. The Boston Public Library became the scene of these labors. It had a first rate collection of nineteenth-century newspapers from all over the country . . . and he started reading his eyes out in the dim light. Over the next several months he took thousands of pages of shorthand notes, supplementing dozens of synoptic histories with this more immediate and local kind of historical record. He'd say that without shorthand the novel would have taken years more to write.